One dark night when Duck can’t sleep, he ventures out in search of the perfect midnight snack. But when he runs into the dreaded Hampire, the chase is on, all across the farm! Will Duck—and his snacks—make it safely back to bed? 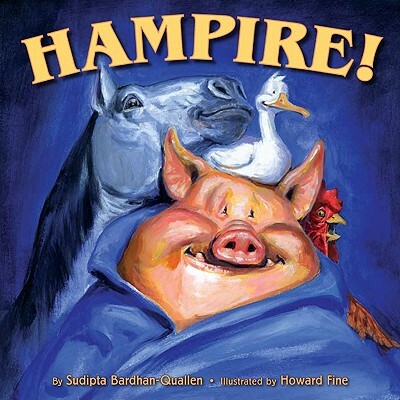 Howard Fine has illustrated many award-winning picture books, including Dinosailors and Piggie Pie! He has three children and a number of pets. All three children like to draw.